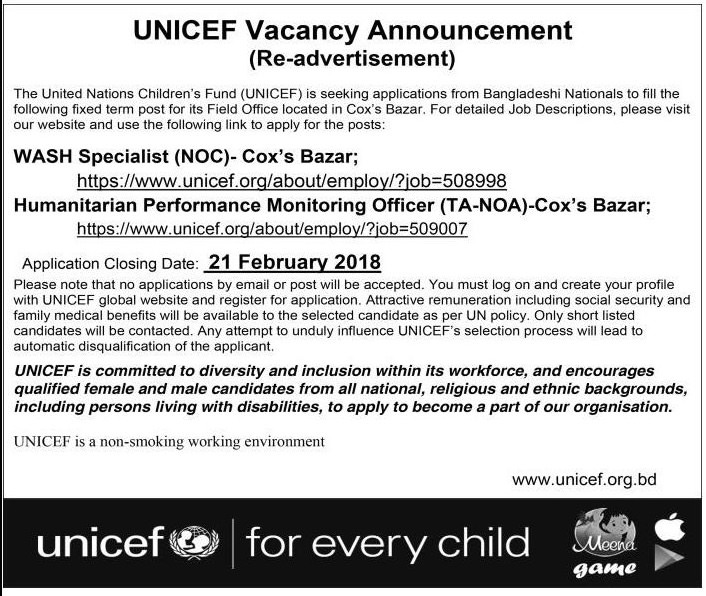 UNICEF Job Circular 2018 has been published by the authority. It’s a great opportunity to unemployed people. UNICEF is the most valuable NGO of the world. To get the job chances in UNICEF,anyone can take this opportunity. UNICEF is giving to people for exciting career opportunities by this NGO.